Delkor® AGM Batteries are the premium choice for high-end and advanced fuel-efficient vehicles with high electrical demands. 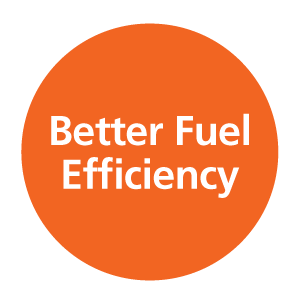 This innovative technology offers up to two times the life of a standard flooded battery and superior performance over the life of the battery, to better meet the demands of today’s start-stop vehicles. Essential for start-stop and vehicles with high electrical demands. Superior electrical performance to support today’s modern vehicles. Certified non-spillable, will not leak regardless of angle of installation. This allows for greater mounting flexibility, such as in the boot, under the bonnet and in the cabin. Patented PowerFrame® grid technology provide superior and consistent starting performance with up to 70% better electrical flow than other grid technologies. Improved durability in hot climate with heat-resistant homopolymer resin and heat-deflection container design. Read more on why a Delkor AGM Battery can be perform better in hot climates. How does a Delkor AGM Battery provide superior performance? Support the higher electrical demands of today’s vehicles and start-stop applications. 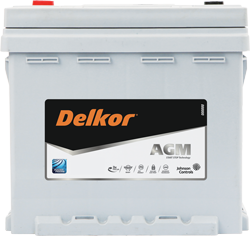 Download more information about Delkor AGM batteries here.